This black is non-bleeding and dark. In white bases it will appear gray. COMMENTS: I used it with clear M&P to achieve the blackest black. It is very easy to use. Give it a good shaking to blend before using. • Blackest black I have easily used. COMMENTS: My concern when I was purchasing this product is that it did not describe the container it would come in. IT came in great handy dropper bottles. Had I known that I would have purchased more colors. I will buy more and a larger variety of colors. COMMENTS: First I am putting same review for the Matte Lavender as well as I the same bad results. The sample bottle is Horrible! It comes separated pigment to liquid base, which is probably why it doesnt take in my Water based product I tried to color... it just sinks to the bottom even after stirring, heating, any method I have tried. Will Not buy again and glad I only lost money on samples. COMMENTS: I love the liquid pigments, but I have a hard time getting this color to give me a black in melt and pour. I have a hard time getting it to even mix in well. I am trying other colorants to see if I can find a solution. I might have to go with the activated charcoal to get the black black I want for my soaps. All in all..I do love the liquid pigments! COMMENTS: Good black color, though it won't be "blacky black" with a white mp base, of course. COMMENTS: I love this colorant! 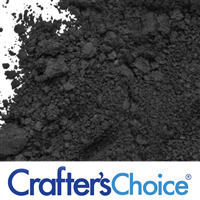 It mixes so well with my M & P and gives a true deep black which is hard to get with many colorants. I have gone from mixing mica powder with RA or Glycerin to using this. No clumps of color and mixing, mixing mixing hoping you get the mica all stirred in. COMMENTS: I use this in bath fizzers and of course the base is white powders so you cant really expect to get black but can achieve a dark grey. You must be careful on how much you put into a single product though. Even though it mixes in water i found out after bathing with a tester bath bomb, if there is too much black it clings to hair. My arms looked like dark, hairy man legs! It was decently easy to wash up on my body but something to watch out for in amounts. It did leave residue on tub but i just reduced the pigment in future recipes. "OK, but I prefer the color bar"
COMMENTS: Used this in Oreo soap and its perfect!!!! COMMENTS: Great rich color. No mixing needed. "Excellent Black - skips a step"
COMMENTS: This saves you from the step of bleeding temperamental black oxide with glycerine before adding to melt and pour. Nice even color every time. - very happy with this product. I wish it was packaged in a bottle for safer storage. COMMENTS: I use this in Halloween soaps. It works very very well in m&p soap. COMMENTS: All of there liquid colors are great. A little goes a long way. Comes out perfect black in my clear base soaps. COMMENTS: Maybe I did not use enough but I was aiming for a much darker black and it was more of a grey. COMMENTS: I found the tip to clog after every use. "Great Color, Don't Like the Jar"
COMMENTS: The color is great, the jar makes it extremely messy to use. I end up with black hands, and have to store the jar in a baggy. Would love to see this come in a squirt bottle as suggested. WSP Response: Pigments settle to the bottom when stored for long term use and must be stirred to incorporate back to a liquid. Stirring is nearly impossible in a bottle. Therefore these pigments are packaged in a jar for easier use with long term storage. COMMENTS: I love this color. So rich and dark. I make galaxy soap with this color. COMMENTS: Easy to use, but not as black as I would like. Does a great grey scale. WSP Response: In a white base this color will be gray. In a clear base it is black. COMMENTS: Compared to the powder, this didn't hold up. It was easier to mix into the soap base I couldn't get a nice, dark color out of it. I wasn't aiming for a black, just a dark grey but the final grey color is very light. I started light on the amount used and added on but didn't notice a color change no matter how much more was added. COMMENTS: It took a lot to make my clear MP black but it was worth it in the end. COMMENTS: This is a great pigment color. It doesn't take much in a clear base to get a nice black color. Mix it in white bases for really great shades of grey. COMMENTS: Great Color. Mixed well with products. • Mixed well with products. COMMENTS: Loved how the color turned out with this colorant. The only downfall is that it is super thick and hard to get out of the bottom. The fight is worth it, it makes the soap a straight black which is what I was looking for. COMMENTS: I love using black in a lot of soaps I make. However, it is not dark enough. I still havent been able to get an actual black color, as it takes a lot of use. Everything ive made has came out as a light or medium grey. It is a very pretty color though. • Wish it was darker. COMMENTS: I love how easy the liquid colors are to use. COMMENTS: I used it in the premium extra clear and with just a few drops achieved the perfect shade. I really like the ease of the liquid and this is nice because it doesn't migrate. COMMENTS: great to mellow stains that lean to the brighter side. COMMENTS: Wonderful true color! I love use these liquid colorants. I use them for all of my bath and body products. You should use them too and you will always be happy with the outcome of your products! COMMENTS: This is excellent for coloring soap. Just a little bit, and you have a wonderful true black color. 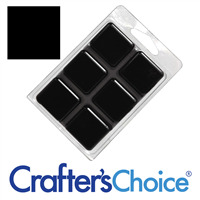 "Crafters Choice™ Matte Black Liquid Pigment"
COMMENTS: I always had trouble getting black soaps to come out black. They would always come out grey unless you add a ton of the color bar. And I didn't like that considering you don't have to use much of the other color bars to get your desired colors. Then I used a sample of this. It only took a couple drops. I will ALWAYS use this for my black MP soap now! "Will use primarily in making gray soaps"
COMMENTS: Due to cost, I will probably stick to the black color bars for my M&P but this will be useful if I need a little more shade control. It did seem a little thicker than the other liquid colorants but it worked fine...just had to squeeze the bottle harder. COMMENTS: I use this to make gray, not black! In white base, this produces a gorgeous shade of gray! For all shades of gray, this is my go-to colorant! 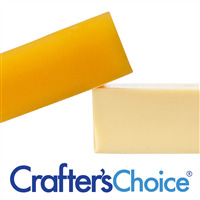 COMMENTS: Makes a nice black in clear glycerin soap and a nice gray in my triple butter base! COMMENTS: Great black and easy to use in this liquid form. "This needs to be in a squeeze bottle"
COMMENTS: I love the convenience of having the black pigment pre-mixed as a liquid. I use this color quite a lot. I just wish it were shipped in a squeeze bottle like the stained glass colors are. I always transfer it into a squeeze bottle as soon as I get it, as the jars are extremely messy. • Wish it was shipped in a squeeze bottle. COMMENTS: I added this color to liquid cobalt blue in clear MP soap base to make a midnight sky. It was lovely! COMMENTS: Used this in my "Rock Star" Soap and it looked amazing. I love the color this imparted to the product. It didn't fade though I did desire a darker shade than permitted by usage guidelines. Even with that I would still use time and time again. COMMENTS: I love this pigment. 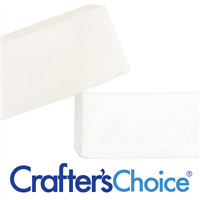 It's very easy to use, and it gives me a beautiful black in clear soap, and great grey tones in white soap. Great product. COMMENTS: I use this in my pink leopard soap to surround the pink "spots" and it produces a true, sharp black. The black holds color great and does not bleed into the base. I've used this in several projects where I need a sharp, crisp black and it never disappoints! "this is lovely mixed black"
COMMENTS: These colors are true to the page when you put then in your product you can achieve the color your looking for one drop at a time. COMMENTS: This color is great for so many projects. I especially like it in the Fall when making spooky Halloween soaps. COMMENTS: I have had the worst time with black colors and trying to make my own. This is absolutely awesome! It's been absolutely perfect every time I've used it and I'm so tickled that I found it here. Thank you for carrying such an awesome product! "Hi! 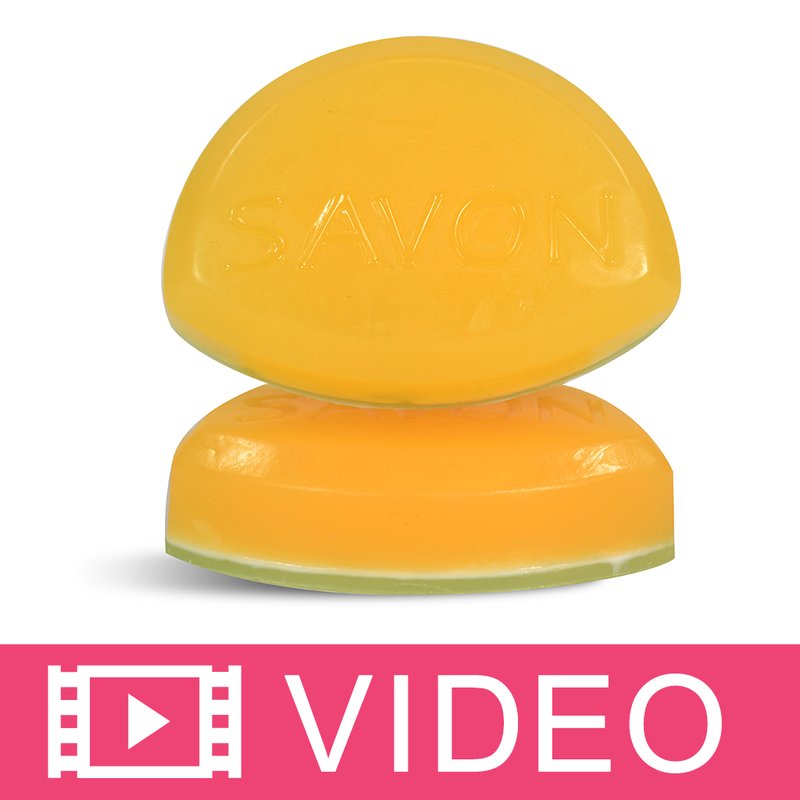 Can this be used in body wash, liquid soap or foamers?" Staff Answer Yes, this can be used in any liquid soaps. "Can this be used in candles? 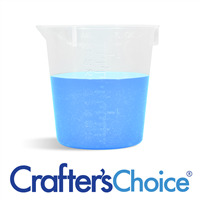 Soy wax candles"
Staff Answer No, this is a water based color and cannot be used in candles. You need to look for colors specifically designed for candle use. "Can I use this in Cold process soap? "